Moving house can be an exciting time, it offers change and new challenges, but can also be stressful. 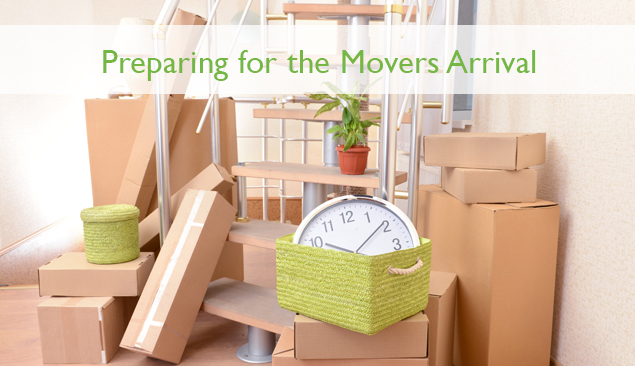 Even if you are moving to a new home in the same town or city, there is a lot to do to get ready for the move. To make the process as smooth and simple as possible, there are a few steps that you should take before the movers arrive. One thing that – although time consuming – is extremely helpful is decluttering. By being selective about what you take with you, it eliminates packing away unnecessary items and saves you a job in the long run. More tips on decluttering can be located on our website. This may seem obvious, but it an important consideration. If you are packing yourself rather than using a professional packing service, make sure that you do not overload boxes and other containers so that they are not too heavy or simply break when they are lifted. Although the movers will take every precaution possible when transporting your belongings, it is important to make sure that breakables are packed carefully in protective wrapping paper before being packed into boxes. Professional movers are strict about what they will and will not take. They usually have set lists of the things that they cannot move and these items include household chemicals, pets, important documents, medicine and food. Make sure that you obtain a list of the things that the movers cannot take in advance and pack these items separately so that you can take them with you to your new home. Try to stack boxes neatly so that they are easier to move and avoid placing items close to doorways or in places where they can become a hazard. Large items such as furniture and electronic appliances will probably need to be moved first, so make so that you clear a pathway to these items so that they can be reached easily and quickly.